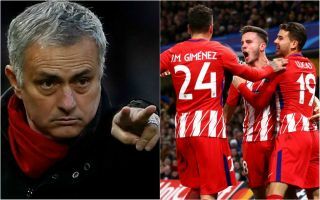 Manchester United have reportedly made a ‘dizzying’ offer to seal the transfer of Atletico Madrid defender Lucas Hernandez. This is according to Marca, as translated by the Metro, with the implication being that United have met the France international’s £70million release clause. Hernandez looks an affordable option for United at this moment in time as they look to bolster their options at the back. The 22-year-old, who can play at centre-back or left-back, seems ideal for what Jose Mourinho needs in this squad, and represents a better value for money option than many of United’s summer targets. Ed Woodward notably vetoed moves for the likes of Toby Alderweireld, Harry Maguire and Jerome Boateng for similar prices. Lucas Hernandez to Manchester United? However, United were ready to pay as much as £100million for Real Madrid centre-back Raphael Varane, so the money is there to trigger Hernandez’s buy-out clause. The Atletico starlet also arguably has a higher ceiling than his fellow countryman, and it seems a big offer has been made to bring this deal closer to fruition.